The Vikings, when they swept out of their Northern homelands in the 8th century A.D. were all that and more. Viking warriors guarded the Emperors of Byzantium, dragged –literally– the King of the Franks from his throne & raided the monasteries of Western Europe. The Vikings were a sea people. Men and women with the courage to take to the North Atlantic in open ships that flexed with every wave. In bad weather passengers and crew must have been half frozen. And yet… the Dragon prowed ships of the Vikings were some of the finest ships that ever sailed. Sturdy, with a shallow draft they could slide up rivers as easily as they braved the Gulf of Finland. But it was as sailors and settlers –not predators– that the Vikings made their true impact on the Celtic world. Fierce and fearless sailors they plundered Ireland, England and Scotland… but they also settled in Waterford, Dublin, York, Normandy, Orkney and a hundred other places. Today we like to think of the Celts as purely Celtic. The Vikings purely Scandinavian. But nothing could be further from the case. The Vikings were never mere predators, and rarely remained cultural outsiders for long. 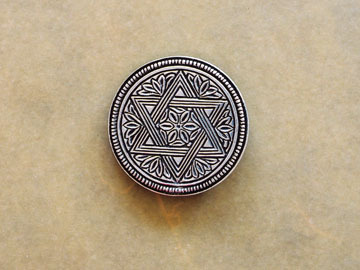 Look closely at a classic “Celtic” style and you can sometimes see the Northern influence. Is it a Celtic Knot? Or a Viking Carving? The Northmen came to Scotland as raiders, would be lords, sometime conquerors. Appropriately enough the Highlands and Islands would become one of the last strongholds of Viking traditions and Viking culture. While the Jarls of Orkney adopted Christianity relatively early they were slow to abandon their traditions of magic, feuds and outlaws. Many of the northern Clans seemed equally unconcerned with the outside world. 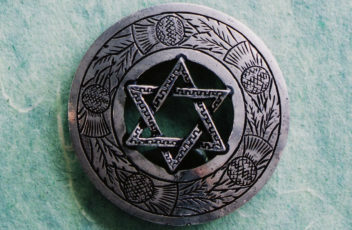 And, although the Orkneys “officially” became part of the Scottish crown in the 15th century –as part of the dowery of the Norwegian Princess Margaret, a descendant of Vikings– the Highlands and Islands continued to follow their own star and as late as the 18th century Jacobite sympathizers from the Islands would continue to flee to Norway or Sweden. To this day there are still those that have problems with the hybrid nature of the Viking influenced Northern Clans. 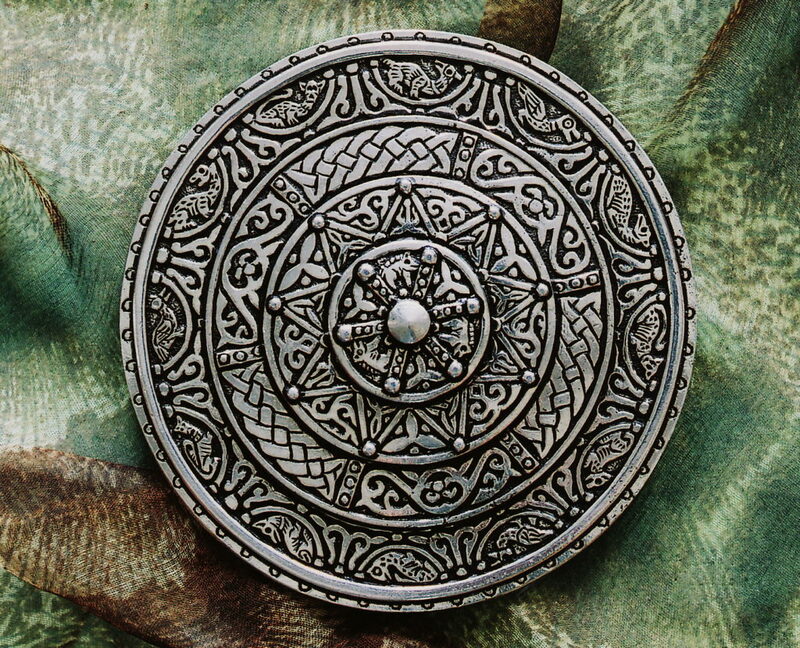 Their art, their history, their culture and their family trees are never purely Celtic or purely Viking. Historians are as inclined as anyone else to take sides… They prefer to see the battles of the North –even the artistic battles of the North– in epic terms. 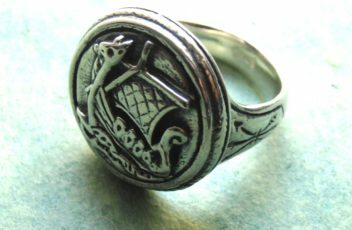 To the defenders of a purely Celto-phile vision of Scotland, Scotland isolated from the rest of Medieval Europe, is where traditional Celtic art endured passed on with barely a hitch from Druid priests to Catholic monks until that ancient tradition was threatened by brutal Norse predators. The brutality of the Vikings should never be underestimated. They earned their reputation as sea raiders, fierce men of the North. 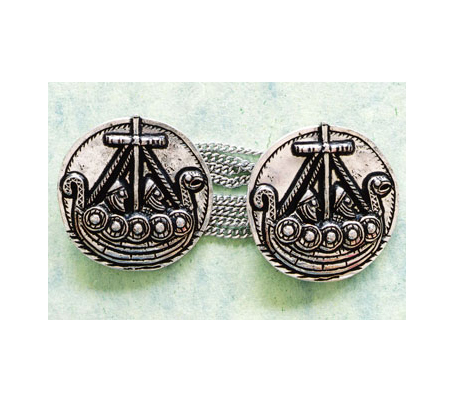 Adorable Sterling Silver Cufflinks like these are fairly accurate depictions of Viking Dragon Ships… But the scale enables us to forget that these ships helped the Northmen make the rivers and coasts of Europe their own for nearly four hundred years. And helped the Northmen turn Northern Scotland into an eternal outpost of the Viking world. 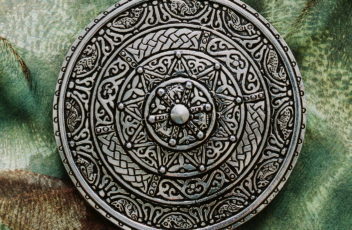 But the Celts and the Vikings –despite their battles– shared a strong connection to the natural world, a belief in the mystical otherworld and a self confidence reflected in art unlike any other. This design is a reflection of that hybrid world that was both Viking and Celtic… a world that gave birth to the Northern Clans. 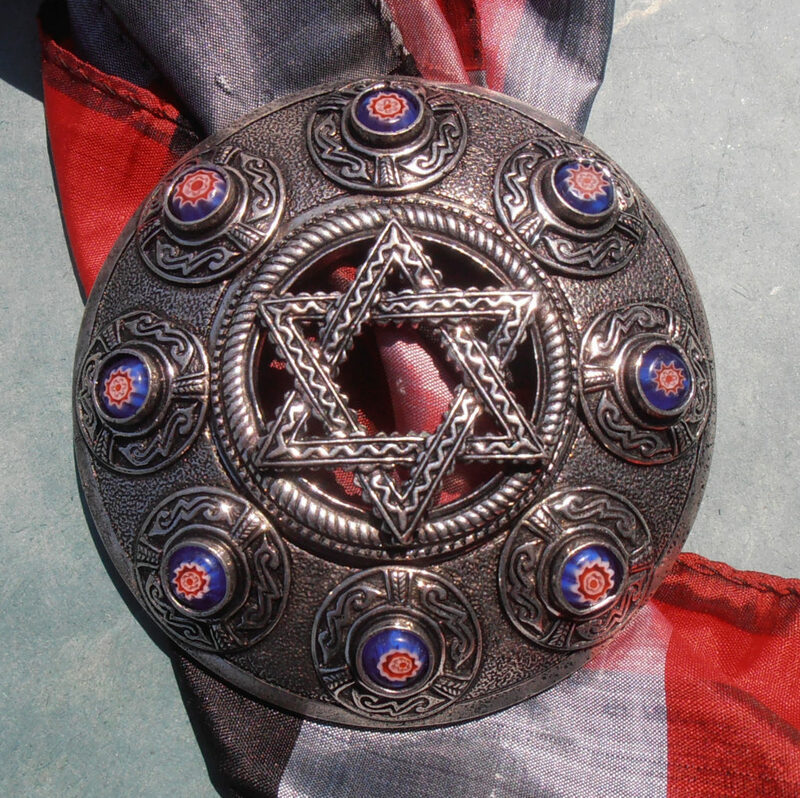 Celtic knotwork –whether it is the colorfully intricate ornamentation of an early Christian Irish prayer book, or the sinuous lines that decorate the hilt of a Bronze Age warrior’s dagger– is always the most immediately recognizable aspect of High Celtic art. What inspired those knots is, today, a mystery. But… before there was Bronze there was rope. 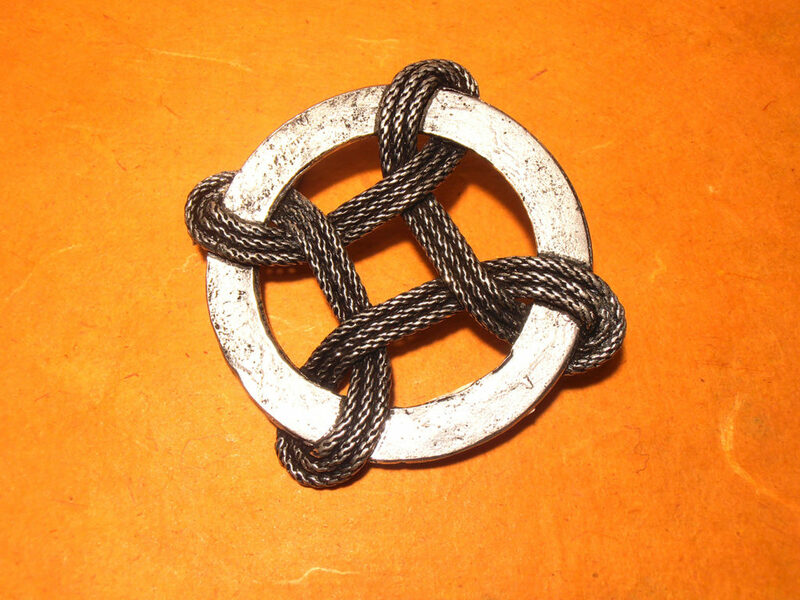 Long before the first Celtic stonemason picked up a chisel to carve the very soul of the Celt into the stones, there were weavers, fisherman and sailors who could make mazes out of twine & rings out of rope. Like the Celts the Vikings were also people of rope. 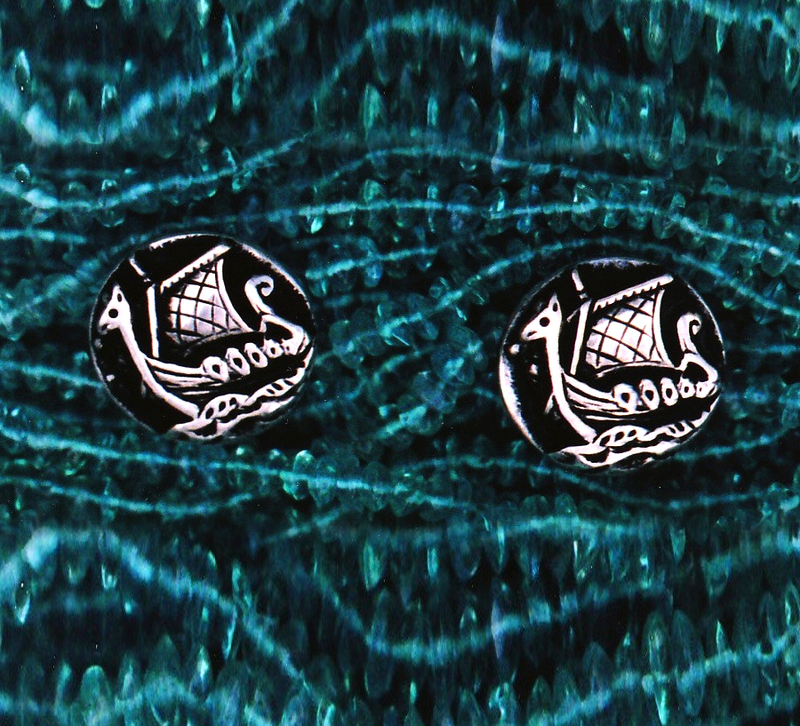 Their ships never sailed without rope, their fisherman never fished without rope, they never tied a bail or set a trap without rope… And rope and braid motifs are staples of Viking Art just as they were part of the daily life of Vikings and Celts alike. The Celts and the Vikings shared a bloody and vibrant world. A world of old Gods and new. Sagas and stories. A world of conflict, and a world of courage. Today nearly half the clans of Northern Scotland can trace their lineage back to the Vikings. And Ireland’s smiling blue eyes? They might be a legacy of the Vikings as well. 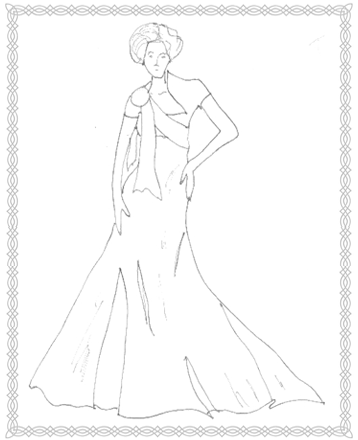 What, after all, could be more romantic than an elegant lady of yesteryear wrapped in a tartan sash? The reality of course… was a little less elegant. And far more beautiful. Three hundred years ago few outsiders would have called Scotland “romantic” –& the modern notion of Scotland as a peculiarly “romantic” country is very much a product of the Georgian & Victorian age as well as a result of the efforts of Jacobite sympathizers to capture the peace even as they had failed to win the war. Nevertheless, while the defeat at Culloden and the failure of the Jacobite rebellion was particularly devastating for rural Scotland, it did not represent a victory of the “modern” over the traditional. The efforts made in the aftermath of Culloden to crush Scottish culture –by banning the wearing of the kilt, banning the wearing of tartan, confiscating traditional weapons & literally exporting a significant portion of the rural population– had mainly failed by the last years of George the III’s reign (better known as Mad King George). The Highland Clearances would continue almost unabated for a century & leave much of rural Scotland inhabited primarily by ghosts and sheep, but by the beginning of the 1820s Britain as a whole was about to go tartan mad. Anyone who loves tartan today owes a (fashion) debt to Queen Victoria, her uncle, George the IV, and the Sobieski-Stuart brothers. The Sobieski-Stuart brothers, a determined pair of Stuart pretenders to the throne who were beloved by the fashionable set in Scotland in the early decades of the 19th century, in a very real way re-invented (or simply invented) Clan Tartans in the 1820s, ’30s and ’40s. 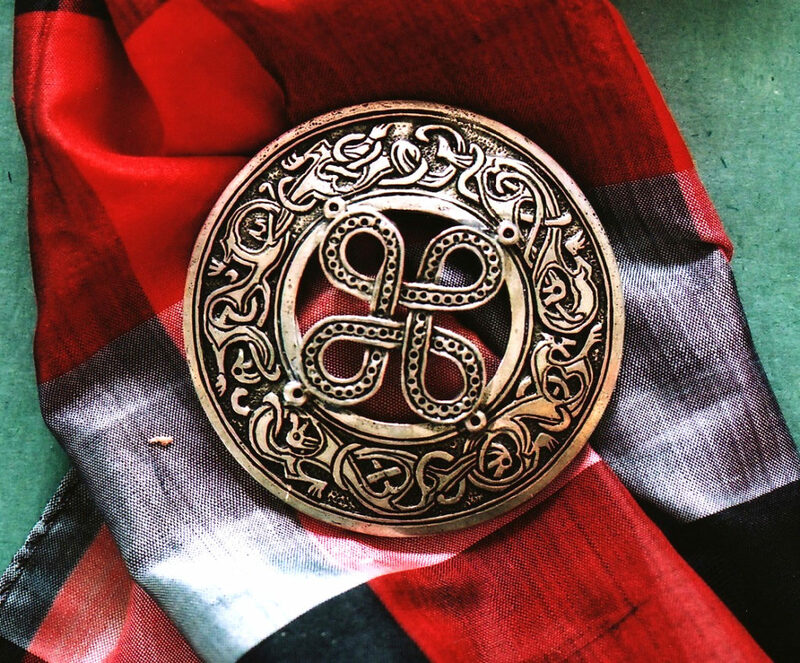 They wrote –from quasi whole-cloth– the definitive book on Clan Tartans and were widely consulted in their day as experts by anyone looking for an “official” Clan Tartan. 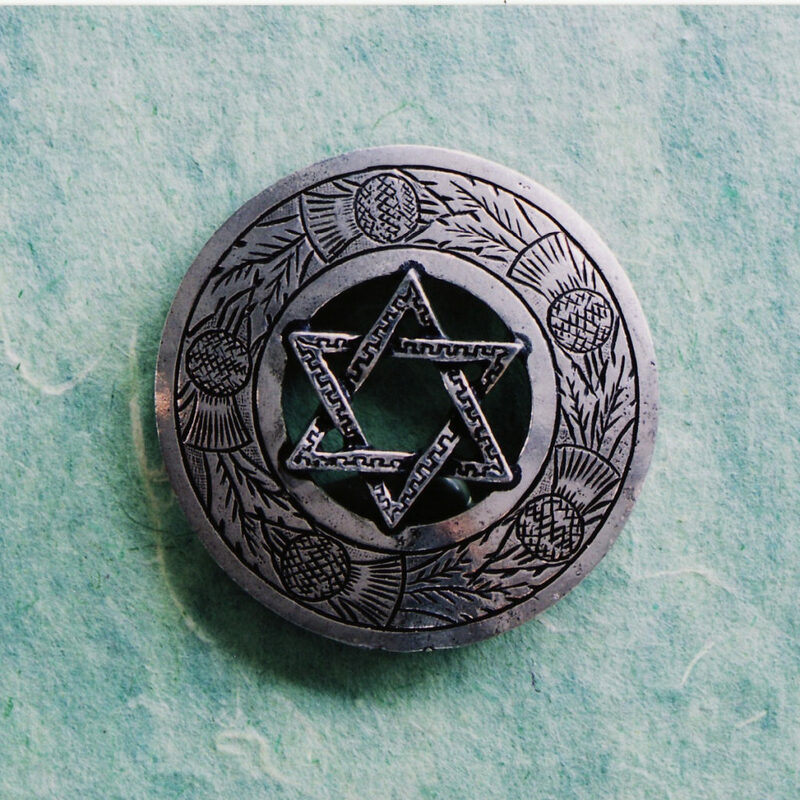 The Jacobite cause had no hope of success after the defeat at Culloden and the flight of Bonnie Prince Charlie, but Jacobite sympathizers would continue to play a role in maintaining, and sometimes simply creating, Scottish traditions over the next seventy years. The kilt had always been the garb of the Highlander and often the poor clansman –rich men who rode horses wore trews. But, after the repeal of the Dress Act –which had proscribed the wearing of the kilt– in 1782, the kilt quickly became a symbol of Scottish identity and was as likely to be donned by a well-to-do Edinburgh barrister as by a poor Highland crofter. The kilt, thus, became both a fashion statement and a political statement. The kilt-wearing Scots of the 19th century were, by and large, loyal subjects of the crown, but they were definitely and defiantly Scots-men not English-men. By the early 1800s the kilt, everything to do with the kilt, & Scotland itself had all become as “romantic” as one of Sir Walter Scott’s Waverly novels. 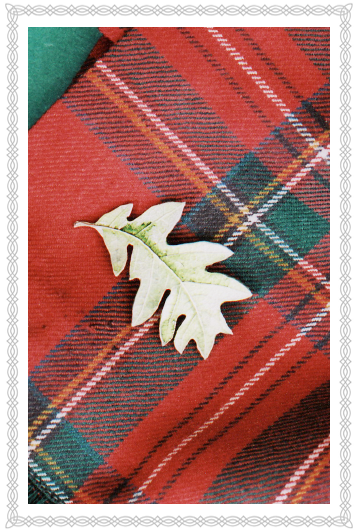 The Scots (and everyone else) had suddenly become hungry for tartan & the weavers of the lowlands were happy to oblige. What the weavers of the Repeal Era –the wearing of the tartan had been banned for years after the Battle of Culloden, and once the legal proscription was lifted tartan had one of the greatest fashion come-backs in history– wove was, like the pieces we at Nagle Forge & Foundry make, often an interpretation of past designs rather than a simple re-creation. Sometimes we think we even manage to one-up the past. By the time George the III finally died and was succeeded by his son George the IV the idea of Romantic Scotland was firmly established. And, a year later –in 1822– when the middle aged George the IV visited Scotland he donned a kilt and attempted –rather oddly– to don the metaphorical mantle of the Pretender, Bonnie Prince Charlie. The dress code of the royal visit was decidedly tartan centric –and with Sir Walter Scott organizing the festivities “romance” was the order of the day. Wits nicknamed some of the brightest kilts “hunting” plaids –they were what impoverished Scottish lairds wore to hunt heiresses in the Assembly Rooms & dazzle likely ladies as they took to the dance floor in full “traditional” Highland wear. Twenty years later when the youthful Victoria visited Scotland the Queen’s life long fascination with everything Scottish seemed inevitable rather than curious.